For those of you who has a deep pockets and get bored with a collection of luxury cars, it would not hurt if you try to have one of these amphibious vehicles. 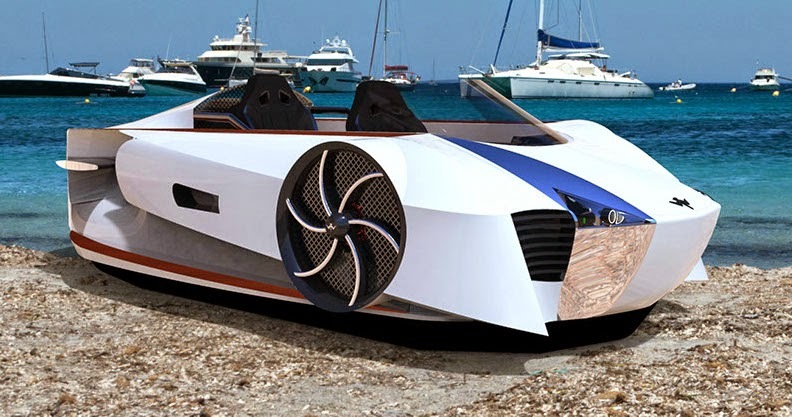 Chicago-based start up hovercraft manufacturers, Mercier-Jones offering their new hybrid supercraft product, that has an unusual look as a hovercraft in general is merely pugnacious and "uncomfortable" impressed. Even with its design, this hovercraft can be regarded as the amphibious vehicle's Bugatti. The supercraft equipped with a powerful 60 hp engine combined with two electric motors that are powered by lithium-ion batteries, Mercier-Jones Supercraft able to spewed a total power up to 102 hp. 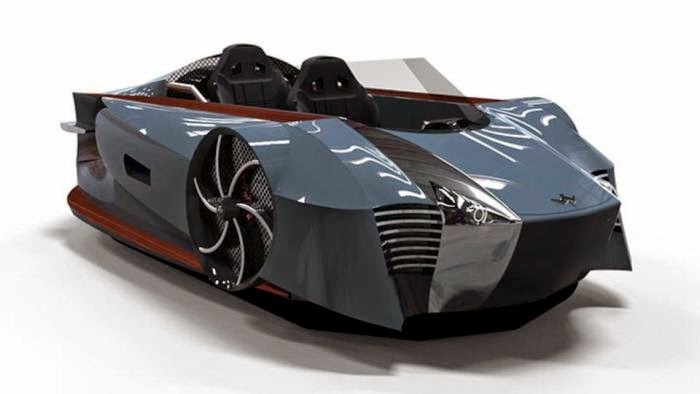 It able to traverse any terrain, including land, ice, sand, water and even all terrain conditions that exist among them with a smooth and comfortable, this supercraft will certainly provide a new driving sensation for you. The supercraft made of sporting carbon fibre body panels affixed to a still chromium alloy frame. Its open cockpit features two seats in tandem and carries an Android OS instrument panel complete with Bluetooth, on-board WiFi, navigation, and heated seats. Its interior is accented with wood inlays.